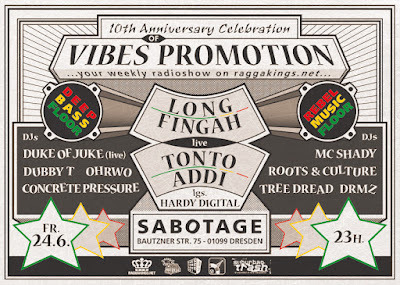 Seit 10 Jahren gibt es die Radiosendung Vibes Promotion auf Raggakings.net wöchentlich jeden Freitag 20.00 Uhr. A new podcast with Yabby You, Lee Perry, On U Sound, Aswad-"Warrior", UB40, Steel Pulse, Sly and Robbie-"Dancehall", Shinehead-"Jamaican in New York", Apachie Indian, Dub Tunnel, Aldubb lgs. Longfingah, Stand High Patrol lgs. Pupajim, Gorgon Sound, Luciano and many more. 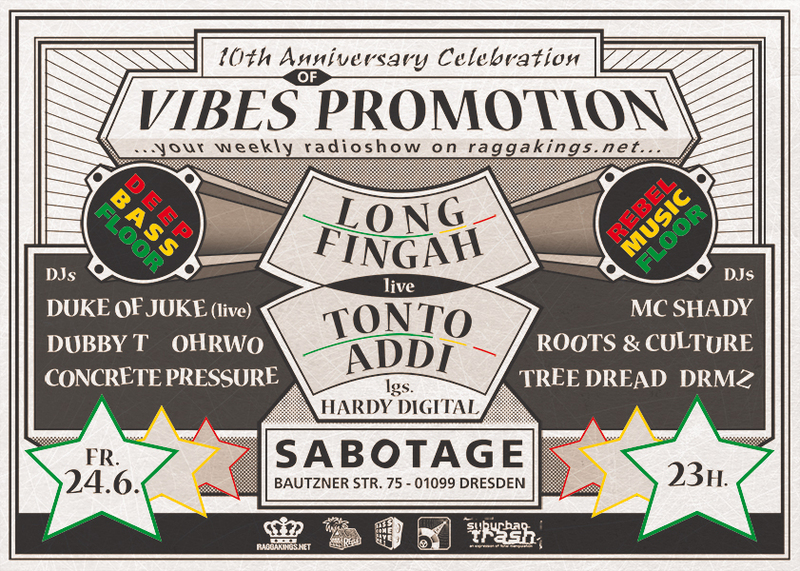 A session over the timesteps of reggaemusic from the 70´s, 90´s and 2013. Load and enjoy listening.